No trip to Los Angeles is complete without a stop at the Original Farmer’s Market. After a wander around, and in search of a savoury breakfast, we landed at Phil’s Deli and Grill. Given that it’s a deli, I opted for the Pastrami and Eggs, while JK tried the Corned Beef and Eggs. Both dishes came with a side of toasted sourdough and potato hash. 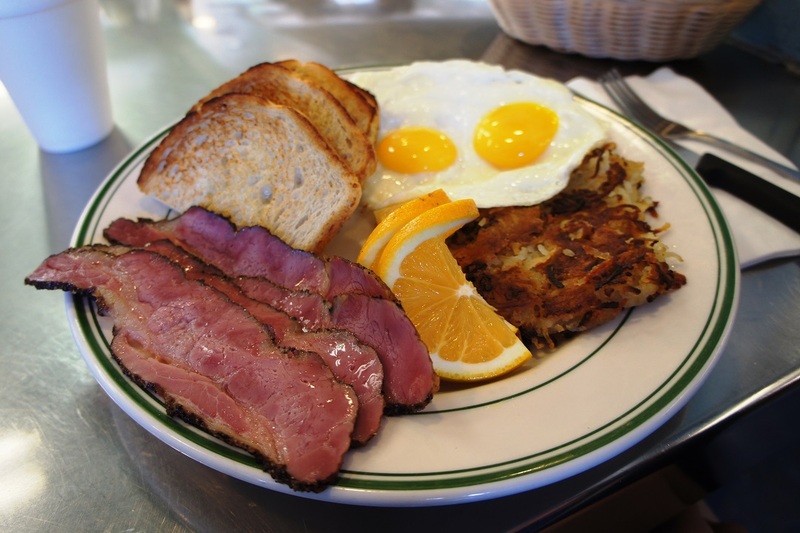 Of the two, I preferred the juicy and flavourful pastrami, but was more mesmerized by how perfectly my sunny side up eggs were cooked (no crispy edges, or rubbery whites). It was a substantial breakfast to set us up for day one at KCON.